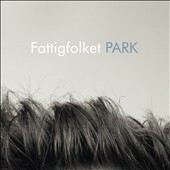 While its previous work has been described as both middle-of-the-road and avant-garde, Park sees the Norwegian-Swedish quartet Fattigfolket offering a selection of tunes that again straddles the middle ground of contemporary, instrumental Nordic jazz. Saxophonist Halvard Godal's pieces—which make up the majority of the 11 tracks included here—feature melodies that tend to be linear rather than elliptical or elastic. Named according to parks located in northern Europe, the tunes are meditations on themes, typically enunciated by Godal and endorsed by Ole Marten Sommer's thoughtful drumming and Putte Johander's restrained bass. With the exception of Godal's "Brentanopark," the intensity of his writing rarely seems to vary though, making the album more an experiment in harmony and tempo, but less an examination of diverse compositional options. Only on the closing "Agra Park" does there appear a didactic dialogue between the two lead instruments, Godal's clarinet and Gunnar Halle's lightly blown trumpet. Most pieces see the instruments opting for a non-confrontational style, weaving harmonious lines around each other, but without inspiring the other player outside his comfort zone. That said, the album flows fluidly on, with Godal and Halle leading the melodies along, ably cajoled in particular by Sommer's varied and laconic drumming. Park is more of an amble than a romp, with the lead instrumentalists rarely breaking into more than a light sweat, but this also a great way to appreciate parks,' and this album's, recuperative powers. Track Listing: Pfaueninsel Park; Brentanopark; Barnim Park; Hesperides Park; Lohrpark; Mauerpark; Tierpark; Innocentia Park; Marienberg Park; Grunewald; Agra Park Personnel: Gunnar Halle: trumpet; Hallvard Godal: saxophone, clarinet; Putte Johander: bass; Ole Morten Sommer: drums.